Earn $1.80 in VIP credit (180 points)What's This? 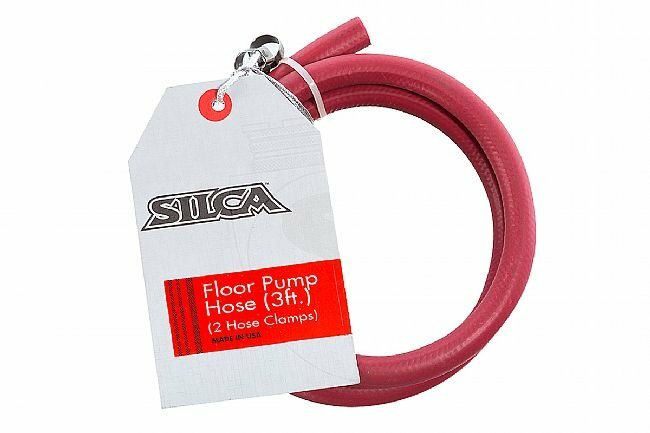 In partnership with the rubber and tire experts at Continental, Silca now offers a custom extruded air hose compatible with all historic Pista Handles! Includes 3 feet of Black Continental hose and Swiss made Stainless Steel Oetiker Clamps. Fits Pista and Super Pista Pumps 1948-current. 3 Ply hose rated for 200psi continual use, 600+psi burst pressure.